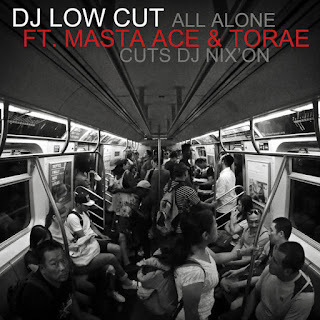 "All Alone" is the second single off Dj Low Cut's new album "Dead End", coming out March 17th. The legendary Juice Crew member, Masta Ace and the young veteran, Torae speaks truly about the music business within their experiences gathered through the years and the loneliness it can cause. Dj Low Cut brought a classic melancholic beat that enhance the topic of the song alongside the faithful Dj Nix'on on the scratch hook.